In order to fulfill the colossal call for the ANSI Y strainer, we bring out cutting edge range of the Y strainer that is designed and developed following the ANSI standards. All the dimensions, including the flange end connection, face to face connection are as per the ANSI standards, which is tested and ascertained too, ahead of consignment. The offered ANSI Y strainer manufacturer is best suited for removing the small amount of impurities from liquid, steam and gas in the pipeline and secures loss caused by the damage of process equipment and closedown of the processes. The introduced ANSI Y strainer is made from the top grade material in synchronization with the ANSI manufacturing standards, which thereafter tested rigorously in order to ensure its compliance. Our ANSI Y strainers are thriving in the industries for performing unfailingly throughout its life expectancy and deliver the matchless filtration experience. 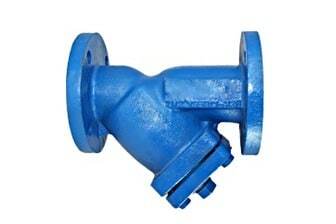 Apparently, this ANSI Y strainer is being the choice of industries which follow American standards, available in the different material of construction and dimensions as per the application need. No matter, at which place you need this Y strainer, we can deliver within an outlined time frame.